Our expertise, our experience dating from 1946. Our knowledge of our producer regions. Our wide range of rigorously selected complementary products. The quality and traceability of our products. Flexibility and reactivity guaranteed by our family-run business..
Optimum freshness of our products. We have refrigeration facilities complying with national standards..
We can transport your products to locations throughout France and abroad. 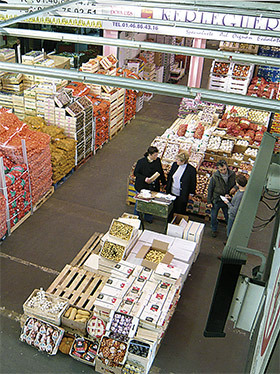 We also offer a grouping service for all your orders from Rungis. Our offices and sales area are friendly and welcoming to give you the full picture of our product range.